Composer and artist Kathryn Bostic is known for her work on award-winning films, TV and live theater. She is a recipient of numerous fellowships and awards including the prestigious Sundance Institute Time Warner Fellowship, Sundance Fellowship for Feature Film Scoring, Sundance/Skywalker Documentary Film Scoring, BMI Conducting Fellowship, and Best Music in Film by the African American Film Critics Association. In 2016 she became the first female African American score composer in the Academy of Motion Picture Arts & Sciences. Bostic has written for Broadway, most notably collaborating with the award-winning playwright August Wilson on GEM OF THE OCEAN and various productions of his last play RADIO GOLF as well as the Mark Taper production of JOE TURNER’S COME AND GONE directed by Phylicia Rashad. 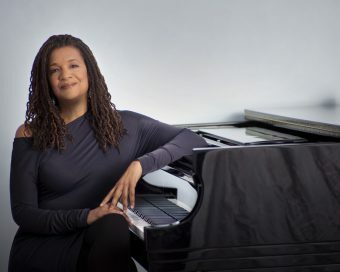 Because of her collaboration with Mr. Wilson, Bostic was asked to score the PBS American Masters program “August Wilson – The Ground on Which I Stand.” Reflecting on Mr. Wilson’s career, this documentary inspired her to compose “The August Wilson Symphony”. As a solo artist, Bostic toured extensively in festivals and venues including The Copenhagen Jazz Festival, Ronnie Scott’s, Birdland,Tokyo and Osaka Blue Note, and The Pori Jazz Festival. Also a vocalist, Bostic recorded and performed with many renowned artists including Nas, Ryuichi Sakamoto, and David Byrne.